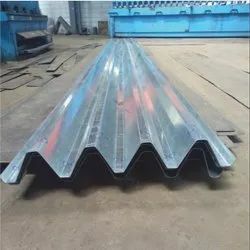 Matching up with the exact requirements of customers, we are involved in presenting a wide array of Galvanized Corrugated Sheet. 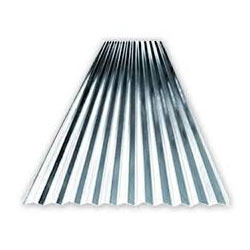 We are one of the renowned traders, wholesalers and suppliers of Galvanized Corrugated Sheets (G.C. Sheets). These products are fabricated by our reputed vendors using the high quality steel that have high strength and durable functional life. With the help of our vendors, we also offer these products in customized specifications that exactly suits with the requirements of our esteemed clients. Galvanized steel sheets or coils are zinc coated, cold rolled sheets/ coils manufactured as per IS 513/ 1994 (O and D grades) . We deliver these GI sheets exactly as per customer’s specifications. Some of our GI products are mentioned below, with brief descriptions.